nerds of a feather, flock together: HALLOWEEN SPECIAL: Halloweenies! Ah, fall, when thoughts turn to lists of scary movies on every single blog (including this one!). But, some of us, when scary movies come on, hide behind pillows, run from the room or change the channel (and/or are really sick of dimly lit jump scares and gore being passed off as horror, seriously, stop it). If you are one of those, Nerds of a Feather is happy to give you our picks for all you Halloweenies out there. 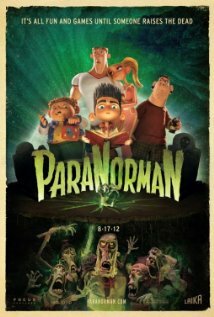 One of the most beautifully animated films ever made, ParaNorman is a tale about boy who can speak to ghosts and accidentally awakens the dead who begin to terrorize his town. Norman, along with the help from his friends, most solve the secret of the town witch and why she is filled with so much hate. 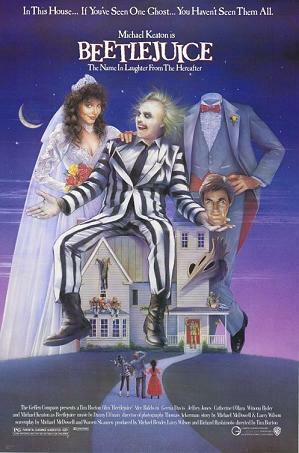 Despite its PG rating, there are some genuine scary moments in this classic I watch with my family every Halloween. Just because I don’t like anxiety and gore doesn’t mean I don’t love me a good Halloween movie. Hocus pocus is the story of the Sanderson sisters, three turn of the 17th century witches who were accidentally resurrected by mischievous teenagers in 1990’s Salem Massachusetts. It was made by Disney and features a singing Bette Midler. Need I say more? I reviewed this film a couple of years ago but want to single it out again because it's an excellent film that sits right on the tipping point between campy fun and genuinely a little creepy. A young, up-and-coming professor who teaches something along the lines of mythology and is a resolute skeptic discovers his wife has been secretly dabbling in the occult and casting protective spells over him, but when he makes her give it up, they soon discover that those charms were the only thing keeping him safe from another group that wants to see him destroyed. Co-written by Richard Matheson, it has a great dose of Halloween chills and tons of atmosphere, without anything that's going to keep you up at night. 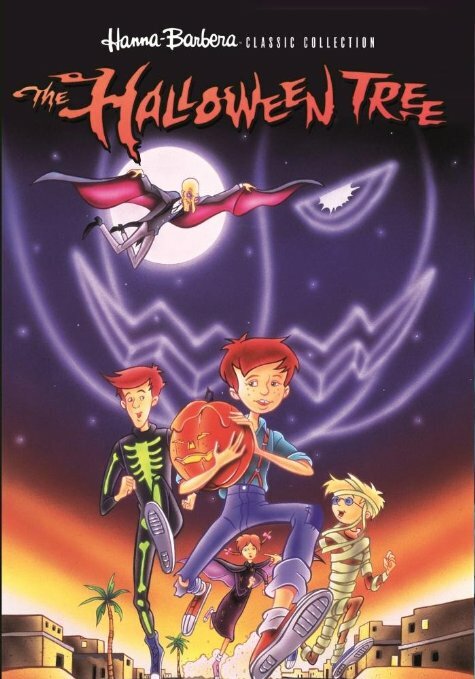 What's that, a cartoon based on my favorite Halloween book? Written and narrated by Ray Bradbury himself? With Leonard Nimoy as a creepy guy who is so totally Death? Sign me up! The premise is simple enough, a group of kids traveling through time to learn about the origins of Halloween and also hopefully save their dying friend's soul from its one-way trip to the afterlife. I loved this movie when it came out, and while age has not been the kindest to the animation, I think it holds up pretty well thanks to some delicious overacting on the part of Mr. Spock--I mean, Nimoy and the incredible descriptions courtesy of one of the formative voices in science fiction. A must watch every Halloween! 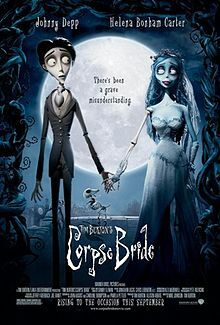 The Nightmare Before Christmas is probably the easy choice here, thanks to its themes and Hot Topic-driven popularity (also being a pretty good flick), but for my money The Corpse Bride is an even better movie. Without having to pour characters in Halloween/Christmas molds, there is more room for them to develop and have personalities. My main (only) complaint about Nightmare is that the Jack and Sally love story feels forced and shoehorned. In Corpse Bride, it is obviously center stage, but also feels organic and true, and the ultimate resolution is better than shoving the two leads together. The constant creepiness made (mostly) adorable is perfect, and it has a better soundtrack. There, I said it. Technically this is a horror movie, but it isn't scary and it is super campy. So Halloweenie it is! 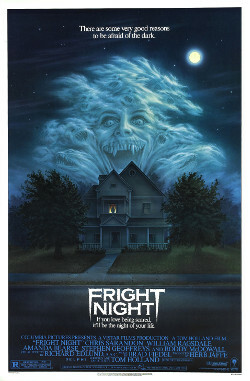 Anyhoo, Fright Night is the story of some kid who thinks his neighbor is a vampire, and so solicits the help of his idol, a TV host and ex-vampire hunter, to take care of business. Oh, and did I mention that the TV show said ex-vampire hunter hosts is also called Fright Night? Extra points for that. And for the fact that there's a character named "Evil Ed." Considering it’s a one-hour TV special based off of a line of toys, my expectations were low, to say the least. To my surprise, Ghouls Rule turned out to be a reasonably interesting (yet not particularly dark or scary) story of prejudice, with a strong anti-discrimination theme. Monsters and “normies” (that's us humans) have to learn to live in peace, but factions within each group find it more convenient to stir up animosity, and only our intrepid “ghoulfriend” heroines—Draculaura, Frankie, Clawdeen, and the rest—can save the day (or rather, the night, since the story is about Halloween). We are monsters, we are proud!